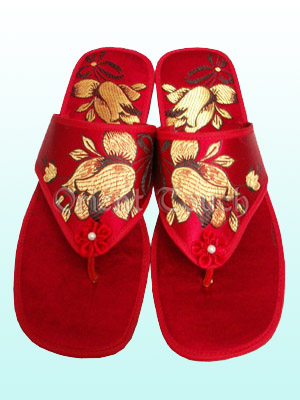 Painted with matched tulips, this pair of slippers looks extremely elegant. Its stylish design makes it perfect. Rest at home, it will be your best choice.